Today was a bad day for me. I must say it was the weirdest day with few complicated/rare cases being admitted under my care. The day started off with a 15-year-old boy with Juvenile Idiopathic Arthritis , followed by an interesting case of PUO. A 55-year-old gentleman with 2 weeks history of intermittent fever(every 2 days) associated with chills and rigors. A very classical picture of something tropical: Malaria! Yes, the malarial screen was positive for Plasmodium Falciparum. Many feel that malaria has disappeared from our radar but no so. I just heard that a patient died in JB hospital a few days ago due to Malaria. A disease that we are still fighting for centuries. The worst part: I heard Quinine is running low in stock in government hospitals and the distributor is also out of stock. There are some newer drugs that are being used to treat Malaria like artesunate, artemether etc but it is still not widely used nor available. Then came an interesting patient who took some chinese medicine for Gout and developed rashes after about 1 month (delayed hypersensitivity reaction). The rash was typical of photodermatitis: maculopapular rash with blister that appeared only on sun exposed area of face, neck, forearm and lower leg. I am very sure the chinese medicine contained Allopurinol, the commonest drug to cause allergic reaction including Steven Johnson’s syndrome. While I was seeing these patients, came a case of Thyroid Crisis to our ER. 25-year-old lady who had defaulted anti-thyroid medications for 2 years presented with high-grade fever, agitation, restlessness, palpitation and shortness of breath. Her HR was 150/min with ECG showing sinus tachycardia. Her T4 level was > 100, beyond what our machine can measure. She was resuscitated and transferred to GH as they are unable to sustain the cost of ICU management. At the same time, came another patient who had a simple fall at home and subsequently noted to have mild left-sided weakness. No loss of consciousness was noted. GCS was full with a power of 4+/5 over the left side and he was admitted as a case of stroke from ER. 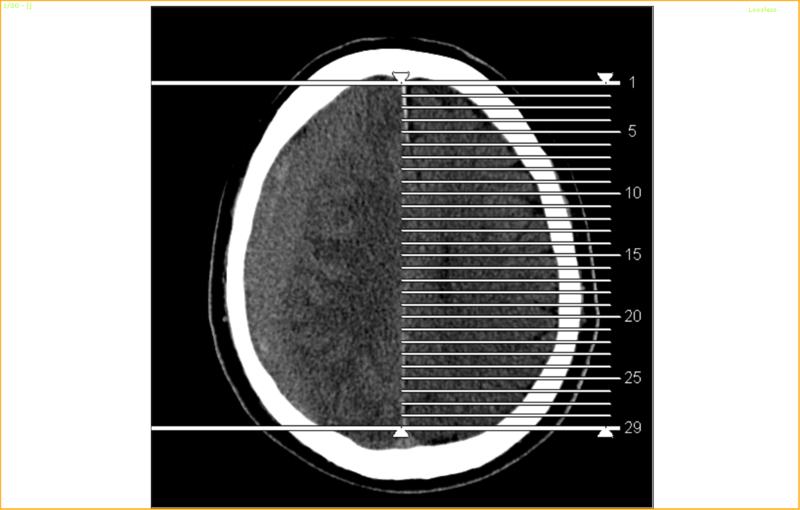 A CT scan later showed a RT subdural haemorrhage(2.4cm thick) with cerebral edema and slight midline shift of 0.4cm. I had to transfer him to GH neurosurgical unit for evacuation. These cases really kept me busy today. I must say that since I joined private sector, I have seen many interesting and weird cases. Just last month I had 2 young patients( 28 and 31 years old) with severe hypertension (BP around 260/160!). One turn out to be bilateral renal artery stenosis and the other Conn’s syndrome! Just last week I had a patient with advanced Systemic sclerosis with atonic dilated esophagus throughout the entire length. She was unable to swallow even fluid. I referred to my Gastroenterolgy friend who did the OGDS and found food particles in her throat! 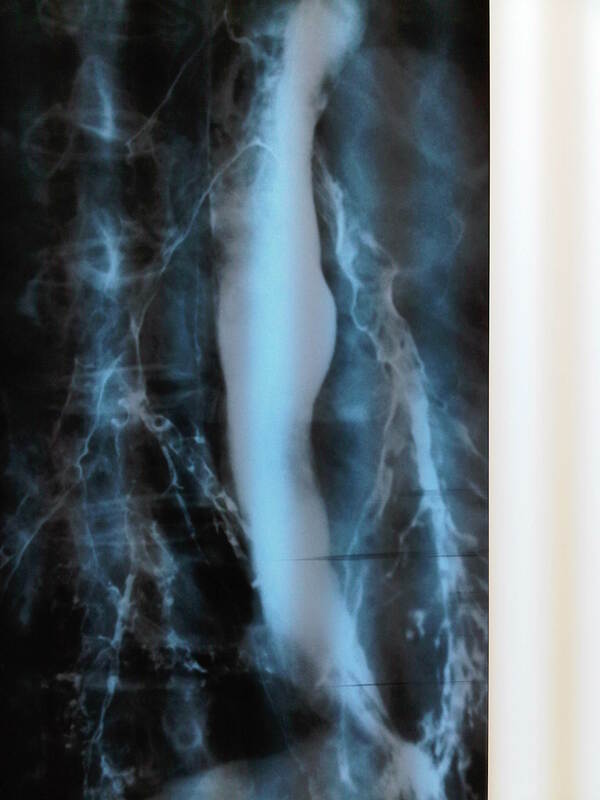 A barium swallow done at another centre showed the contrast entering/aspirated into the lung! We actually got a bronchogram!